Rodan + Fields is a private work at home program, headquartered in San Francisco. The company was founded in 2002 by dermatologists and creators of Proactiv® Solution Dr. Kathy Fields and Dr. Katie Rodan. It is a premium skincare brand and has been producing remarkable products for some time now. These products are tested clinically and are designed to create a consistent beauty regimen for all types of skin types. The main principle of the company is to promote better living with better skin. As such, it has developed a unique business model that enables like-minded individuals to start their own personal enterprise and generate income. Now, R+F exists as one of the best skincare companies in the direct sales industry, represented by approximately 30,000 consultants all over the country. From soothing products for women with sensitive skin to acne and blemish treatments and anti-aging, you can find a ton of skincare products to sell and earn money. When you join R+F as an independent business owner, you have the capability of earning through five ways. These include performance bonuses, generation overrides, leadership commissions, team commissions, and personal retail commissions. As an active consultant, you have the ability of earning at least 31% in commissions for each sale. If you have decided to build a team, you can receive 10% additional commissions generated by your consultants. When it comes to becoming a consultant for R+F, you have plenty of enrollment kits available. The Business Portfolio can be purchased for only $45, which includes information about the company philosophy, but doesn’t have any products. For building your business, you have kits ranging from $395 to $995. The Personal Results Kit is available for $395 and comes with a huge collection of skincare products, which include Multi-Med and Anti-Age regimens kit of your choice. If you want to boost earnings, you can go for the Big Business Launch Kit for $695 and comes with four anti-age regiment kits, multi-med therapy regiments, and other skincare products. 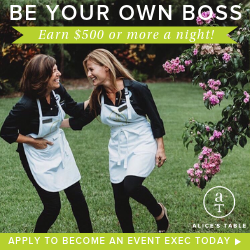 For $995, you get the most comprehensive business option from R+F, which includes all information and products you require for growing your business venture. In order to maintain an active sales status, consultants are required to generate a minimum sales volume of $100 per month to receive bonuses and commissions. It’s pretty much the same as compared to other famous direct selling companies. If the commissions from R+F’s Compensation Plan aren’t enough, you can always leverage additional earnings through special reward programs that are offered from time-to-time. From the Road to RFx Car Incentive Program to Fast Start Program, you have plenty of opportunities for earning early returns on your efforts. This creates the possibility of generating an abundance of lifestyle rewards and a residual income that keeps you on your feet.